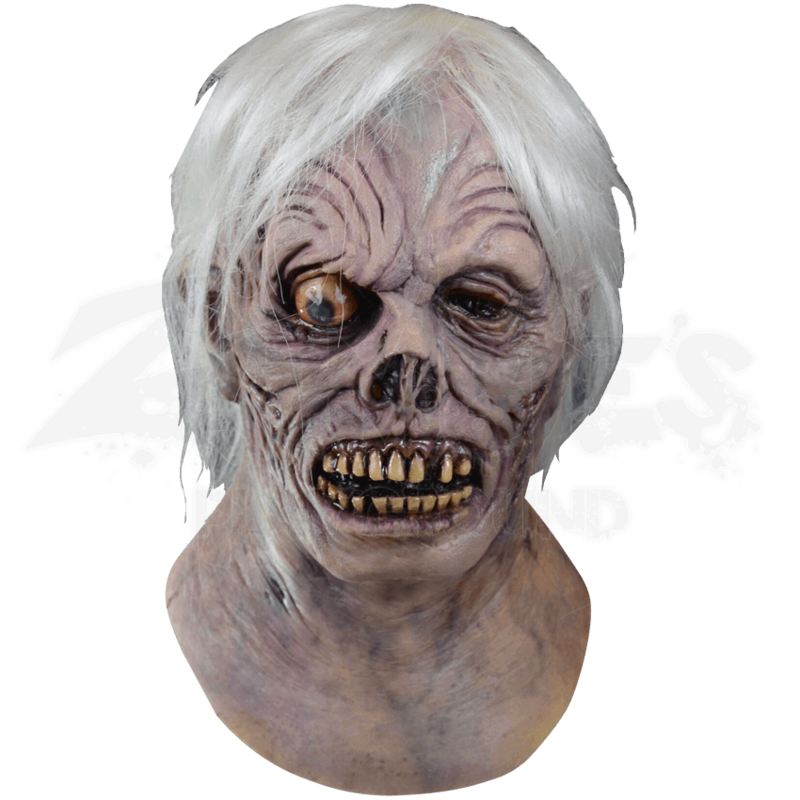 This walker was a tribute to a classic horror zombie knowns as the Shock Monster. 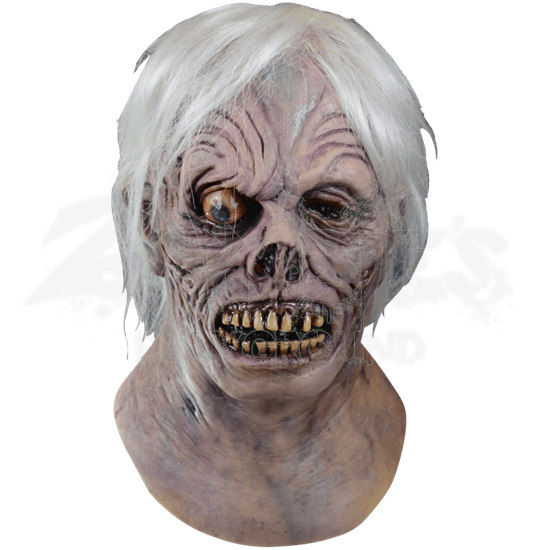 In season six of the Walking Dead fans were given a new interpretation, called the Shock Walker, and this officially licensed mask was then created. It features gruesome detailing from the AMC show including the iconic bulging eye. The flesh has a greyish tone and purple tint that is cut in places, revealing rotting muscle tissue and bone. Decaying teeth and gums sit below a mangled nose, and the head is capped with scraggly white hair. This latex mask covers the full head when worn. It does an incredible job paying tribute to the early Shock Monster. Pull this mask over your head this Halloween and shock the neighborhood!